This post may contain affiliate links. If you click on these links and make a purchase, I may receive a small commission. This is at no additional cost to you. Thank you for supporting this blog. 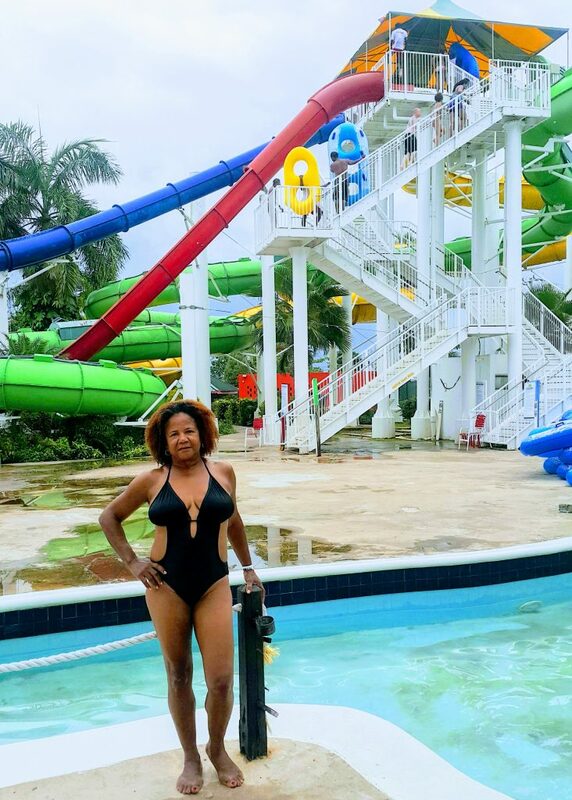 Recently munchkin and I took a trek across Jamaica to go on a summer adventure to the Kool Runnings Water Park in Negril on the western end of Jamaica. It’s a 5-hour ride from my home in Kingston Jamaica to that side of the island when traveling by the South Coast. Though it’s a much longer trip than taking the North Coast, there are some beautiful sights to behold so we went that way to enhance our journey and make the road trip part just a little more fun. We also invited my mom and my little cousin along because the more, the merrier on these long trips! Plus kids forget that they’re on a long adventure when they’ve got a gaming buddy with them. Adding to our fun journey was an upgrade on our ride. The folks at Mitsubishi Jamaica loaned me a 2018 Mitsubishi ASX, aka the Mitsubishi Outlander Sport in North America. I was looking forward to this road trip in a sweet new ride! So for sure, be prepared with your own swimming diapers if you’re going with a baby in tow. So here are my tips for securing cheaper tickets. Book through their website. They often have deals running as low as US$15.99 each for entry. They only have a couple of these each day so be sure to book early. I also wasn’t able to find that link on my mobile and had to do it on my laptop. I’m not sure if this is deliberate but bear that in mind when you click that link. I was also super disappointed that they had the PayPal icon on their main website but it doesn’t seem that the payment portal accepts PayPal. I had my heart set on using that option to check out as it can be difficult for those outside the US to get access to our PayPal funds so I like to use it up online whenever possible. Anyway final tip, if you go at 4pm you will pay their moonlight pricing. Moonlight pricing means you pay the same as the under 4ft price above. The park closes at 5:30 pm and we ended up getting their right on time for 4pm anyway because we stopped a few times. It still gives you an hour and a half to play around which really is enough for me as after you’ve been on the slides a few times…what next? 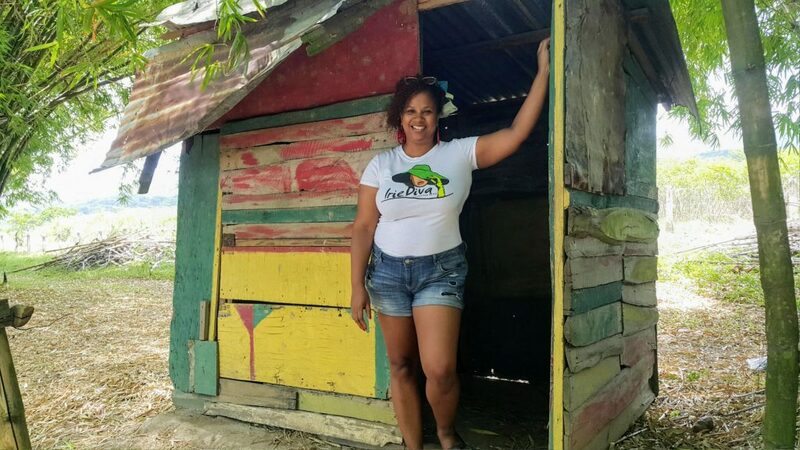 It’s not often that I travel the South Coast of Jamaica and so I was excited to make the journey. 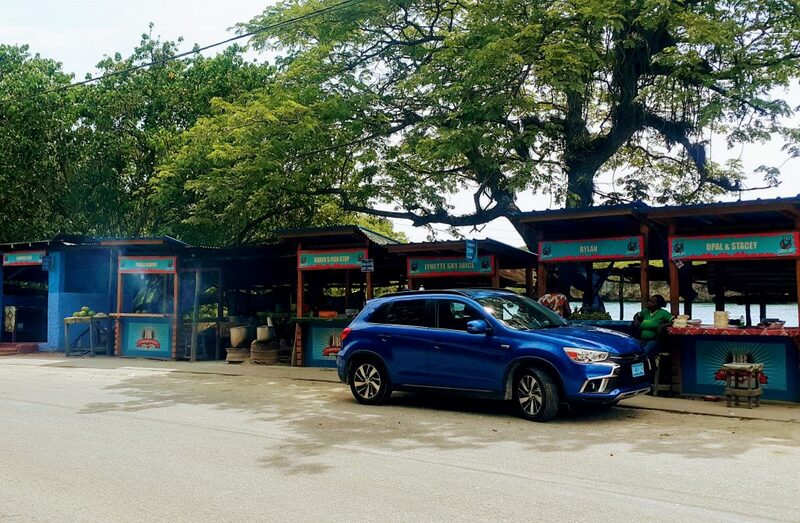 It’s very picturesque and the drive is interesting taking you uphill, downhill, along coastlines and through charming rural towns. 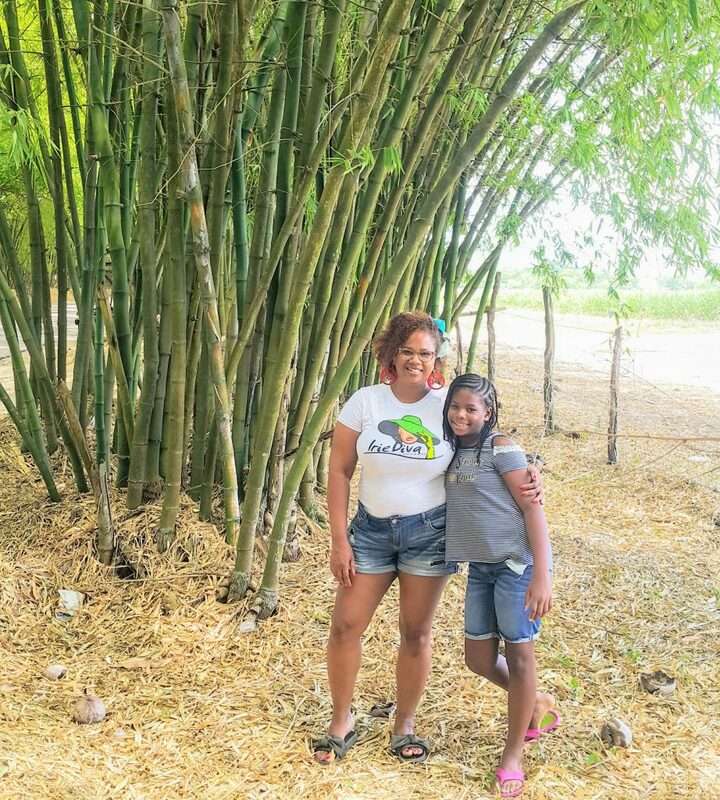 Because we left out late in the morning and Negril is a 5-hour drive away via the South Coast, our first stop was all the way in Holland Bamboo which is in St. Elizabeth, a little further out than the halfway point of the journey. 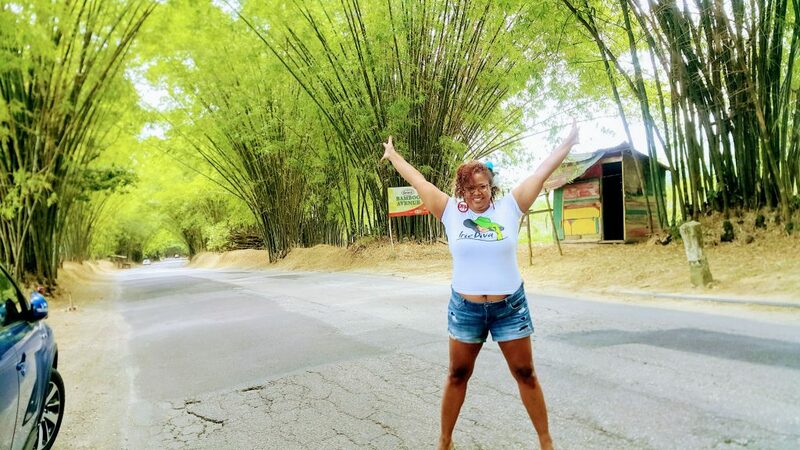 I whipped past Claudette’s which is a curry goat restaurant at the side of the road just before you get to Spur Tree that sells the most amazing curry goat evaaarrrr. I really wanted to stop but decided to keep pushing. My mom wanted to stop too since her name is Claudette, she loves a good curry goat and she’s never been. One day soon we will make that trek. In the ASX I will admit that it was super fun to zip around everyone who wasn’t handling the uphill climb well. The power of the ASX is definitely one of the most fun things about it for me. I am a wuss when it comes to fast driving or going downhill but I will show off and overtake all the slowpokes while going uphill. 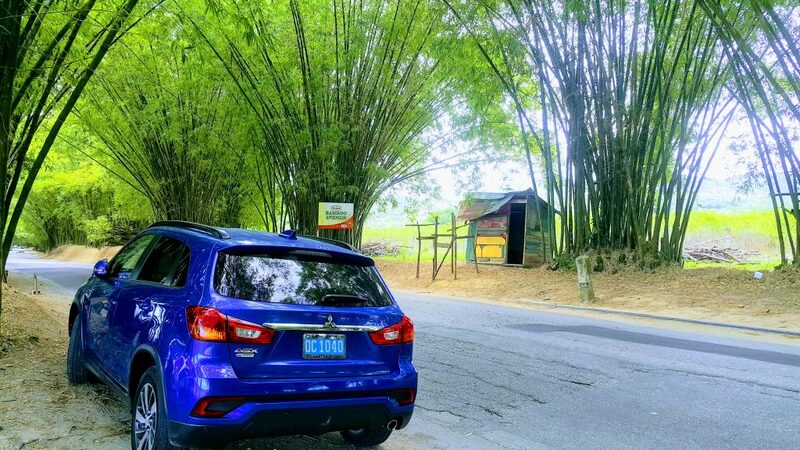 We got to Holland Bamboo in very good time so I stopped to snap a few pics. Can I tell you that I wasn’t a fan of the Blue models when I was shopping for my van a couple of years ago but seeing these pictures and actually taking one across the country made me fall in love with the playful colour! 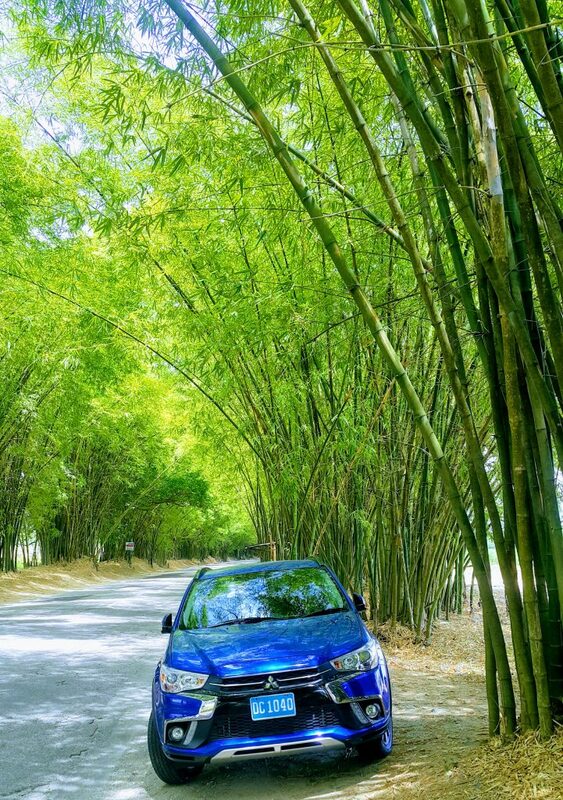 I don’t need to tell you why it’s called Bamboo Avenue. It goes on for quite some time too and it’s beautiful. I was stoked to be creating more memories with my little munchkin especially before she went off for summer. Being the electronics kid that she is though, she wasn’t too impressed. Kids! Anyway I was happy to stretch my legs, breathe fresh air and play around. It’s the perfect rest stop if you’re peckish since there are vendors selling fruit and snacks on the sides of the road. Not so hot a place to stop if you gotta pee. So maybe about 45-minutes to an hour after our romp on Bamboo Avenue I decided to stop for lunch. I pass this spot all the time and I’ve never stopped so today was the day. It is a fishing village right by the sea with vendors lined off ready to sell you fried fish and bammy among other goodies. Bammy is a bread-like side made from cassava. 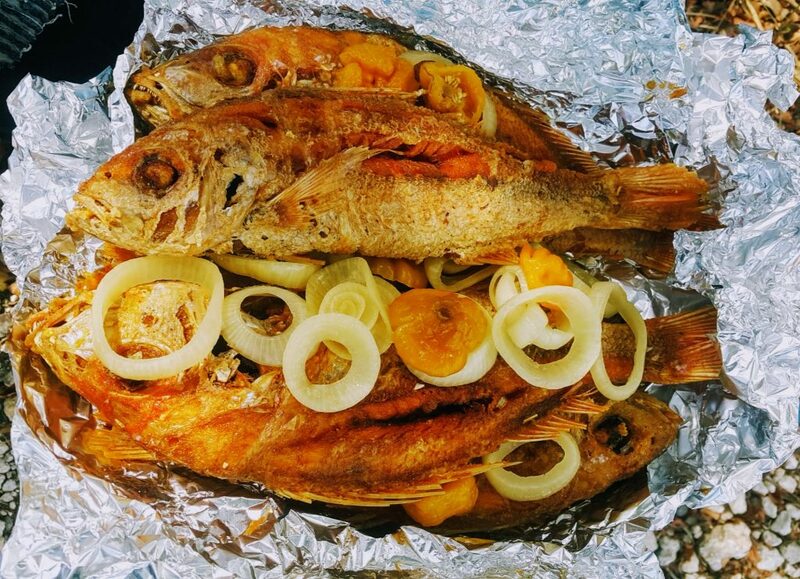 I skipped the bammy because it wasn’t crispy fried like I liked it so we just got a plate full of fish! Five fish of various sizes for the four of us all for $4500 JM. We had a feast. I drove for another 15 minutes till we came across a spot right on the roadside beside the most beautiful turquoise waters that beckoned my name. I seriously couldn’t pass it, it made for a perfect picnic spot. So we plopped down and had our lunch right on the stones by the sea. Munchkin again showed her city upbringing and fussed about being on the ground and then fussed about ants. I need to get this kid out more. We wrapped quickly and headed out. Let me tell you, the drive after Savanna-la-mar to Negri is the longest part of the journey. It’s miserable because there are few spots to pass trucks or slow vehicles so if you get stuck, you get stuck. Also, because mentally you know that Negril is finally near, it just seems to take forever to actually get there!!! 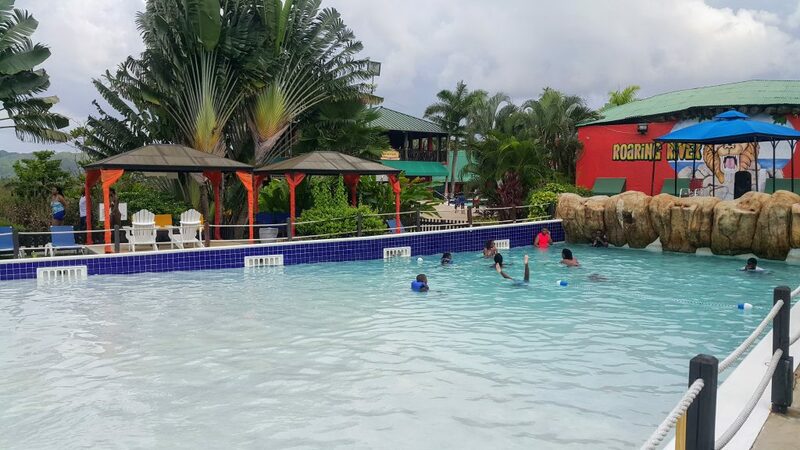 At around 4pm, we finally pulled into Kool Runnings Water Park! Geeked! I love water slides and munchkin certainly does too! That red one in this picture is called The Undertaker and considered one of the scariest ones because the drop is kinda steep and very quick. 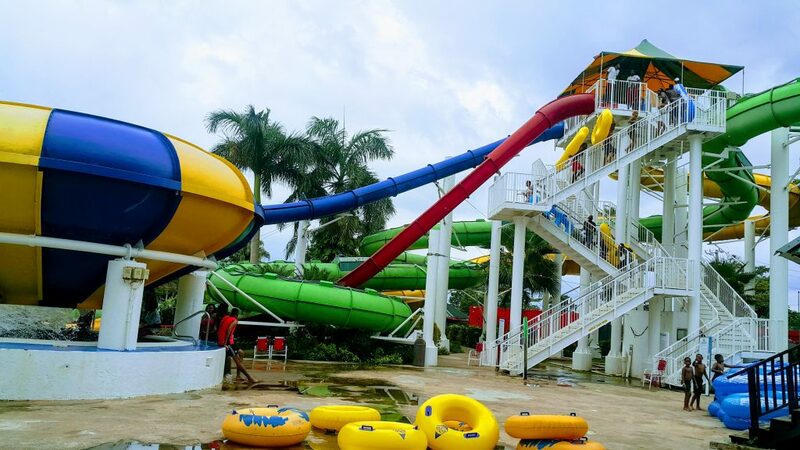 I call the one with the big bowl in the forefront the toilet bowl because first, you go down the tube then it empties you out into this bowl where you go round and round a couple times wishing it would just dump you out already and finally it flushes you out, most times head first, into the pool below. I don’t think munchkin liked it very much. In fact, when it was time to do The Undertaker, she was quite scared. I won’t front, so was I and my momma damn sure wasn’t having it. I tried to coach munchkin at the top of The Undertaker telling her not to look down, it will be fun, don’t worry about it and everything else I could think of. She was scared and not feeling my encouragement. She sat and got up and sat and got up a few times. But as other kids zipped by her and her cousin did it a few times, it seemed her courage built. She looked back at me and said those three little words. And she sat, slowly laid back and went. I was so proud. Of course, I had to follow through as well now that she did it. I simply closed my eyes, it’s not so bad when your eyes are shut tight! Then my mom saw us and she got the courage too. Go mom! It was a fun time!!! I might be losing that kid in me though because after going a couple times on a few slides I was ready to hit the kiddie pool and hang out. There’s a small pool to the front of the property where you can splash around when you’re done riding the rides so I retired there with mom. 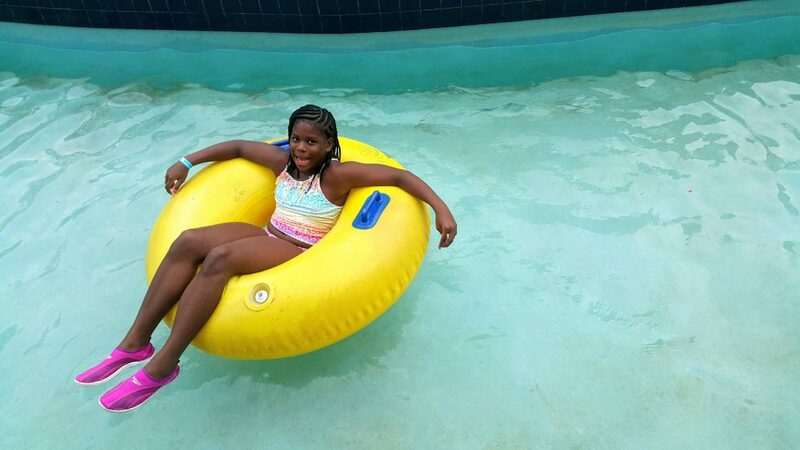 Munchkin and her cousin rode the lazy river and shorter slides a few more times before joining us. It looks huge but it’s very slanted to you have to go all the way to the end to actually feel like you’re in a pool. It’s pretty much up to your ankles in the shallow area. It was sufficient for us to close out the day. Like I said, I see no reason to ever actually get there before moonlight hours and spend the whole day in the water park area. Now they do have paintballing, go-karts and an adventure park on site, so you can indulge in all of the above for additional dollars and make it a whole day thing. 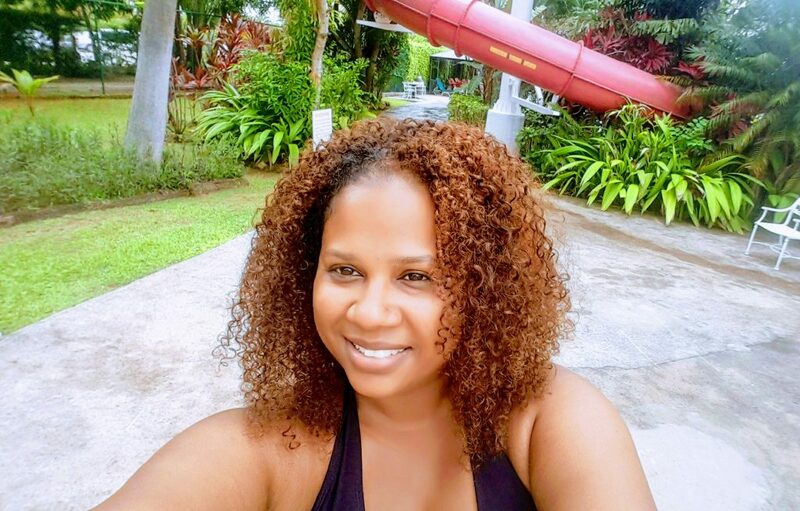 Once the park closed we went off in search of food in Negril. Stay tuned for Day 2 of this post where I talk about road tripping with kids, where we got food and some amazing spots to capture your best IG photos along the North Coast! 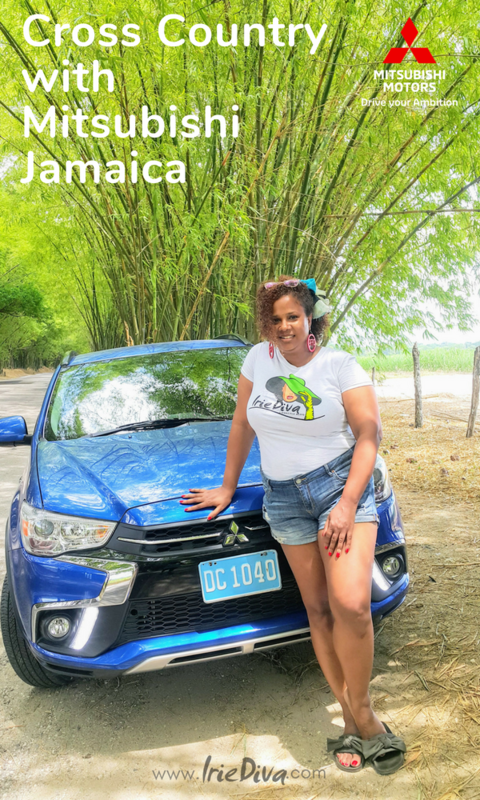 Thanks to Mitsubishi Jamaica for partnering with me for this adventure! Day 2 has much more information on why this was the best vehicle to take cross country. Can’t wait to share! 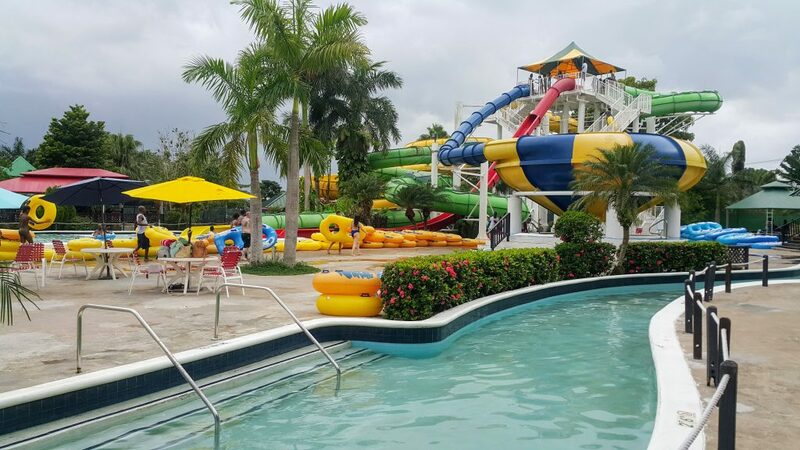 Ever been to Kool Runnings Adventure Park? How was it and what tips do you have for us for next time? Copyright 2010-2018. Designed with Divi from Elegant Themes. Powered by Wordpress and Siteground.